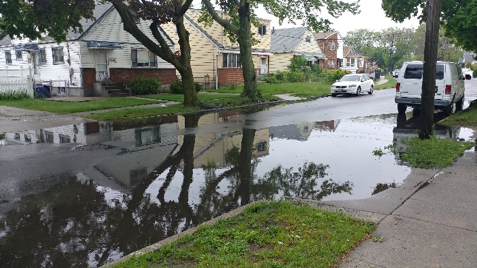 (Rochdale, NY–June 7, 2018) NYC Department of Environmental Protection (DEP) Commissioner Vincent Sapienza and NYC Department of Design and Construction (DDC) Acting Commissioner Ana Barrio announced today that a $62 million infrastructure project that will install new storm sewers, repair local street conditions that result in flooding and upgrade the area’s water mains has begun in Rochdale, Queens. The project, scheduled to be completed in summer 2020, is being managed by DDC and funded by DEP. 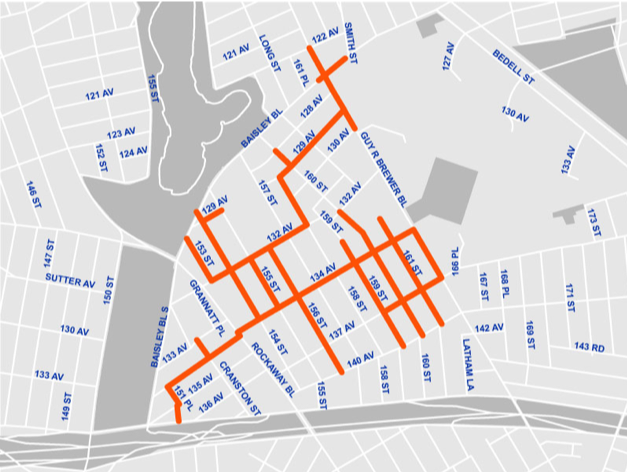 More than 1,550 feet of new storm sewers will be installed through the project area and an additional 6,600 feet of storm sewers will be replaced with new, larger pipes, some as large as 66 inches in diameter. Up to 11,000 feet of old sanitary sewers will be replaced, in many locations with larger sanitary sewers ranging up to 36 inches in diameter. To further improve street drainage, 44 new catch basins will be installed and 87 existing ones will be replaced. 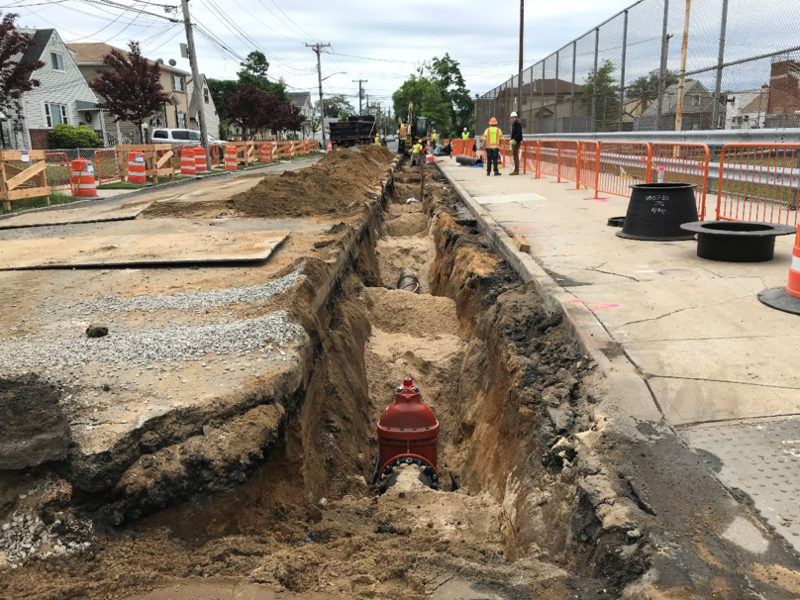 The project will also replace 18,000 feet of old cast iron water mains, some dating back to the 1920s, that were installed by the Jamaica Water Supply Company. Additionally, 16 new fire hydrants will be added to the area and 32 older ones will be replaced with new ones. 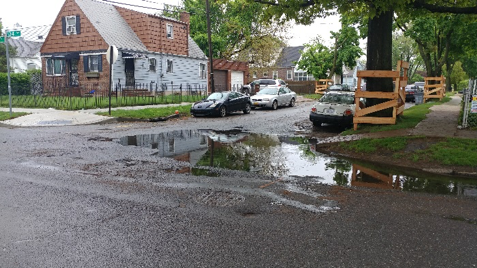 The project is part of the City’s $1.9 billion investment to improve flooding and street conditions in southeast Queens. The program, which consists of 45 total infrastructure projects to be completed over the next 10 years, is the largest of its kind in the City. To manage the needs of residents during construction, DDC has a full-time Community Construction Liaison (CCL) assigned to the project. CCL Phillip Stafford keeps the neighborhood apprised of construction progress, coordinates street closures and utility shutoffs and can arrange special requests such as deliveries to local homes and businesses. Mr. Stafford works on-site and is directly accessible to the public at 646-374-7364 or by email at se848ccl@gmail.com. The contractor for the project is Northeast Remsco Construction. Construction management services are by Tectonic Engineering.